Gmail for the Web has received a new update that brings a shortcut to undo and redo the text directly from compose window. The compose window on Gmail also includes a shortcut to strikethrough the text. Google has additionally added a .EML format for downloading emails. The latest list of changes comes months after Gmail got redesigned with "suggested replies" to messages and "nudges" to respond to forgotten emails. The redesigned Gmail was rolled out for all users back in July last year, following an "early adopter programme (EAP)" initially. The Gmail compose window under the new update also adds an option to strikethrough text. "We've heard from you that this functionality is critical to quickly and efficiently write emails, especially when you want to visually indicate a change in language," the Gmail team writes in a blog post while highlighting the importance of the new strikethrough shortcut. 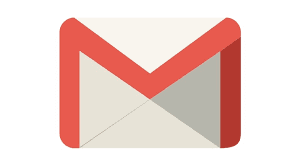 Google has confirmed that it is rolling out all the new changes to all Gmail users in the next few days. Notably, all the changes will be available by default - without requiring any dedicated process to be followed.